Want us to promote your event? Email HRES@dal.ca to get involved. In 1993, Premier John Savage and Mi’kmaw Grand Chief Ben Sylliboy declared October as the official month to recognize and celebrate Mi’kmaw culture and heritage. Mi’kmaq History Month is celebrating its 24th-year and invites everyone to join in the celebration of Mi-kmaw culture and heritage. Each October, community activities, events, sharing and showcasing the Mi’kmaw history take place across Nova Scotia. Everyone is encouraged and welcome to participate in Mi’kmaq History Month events. 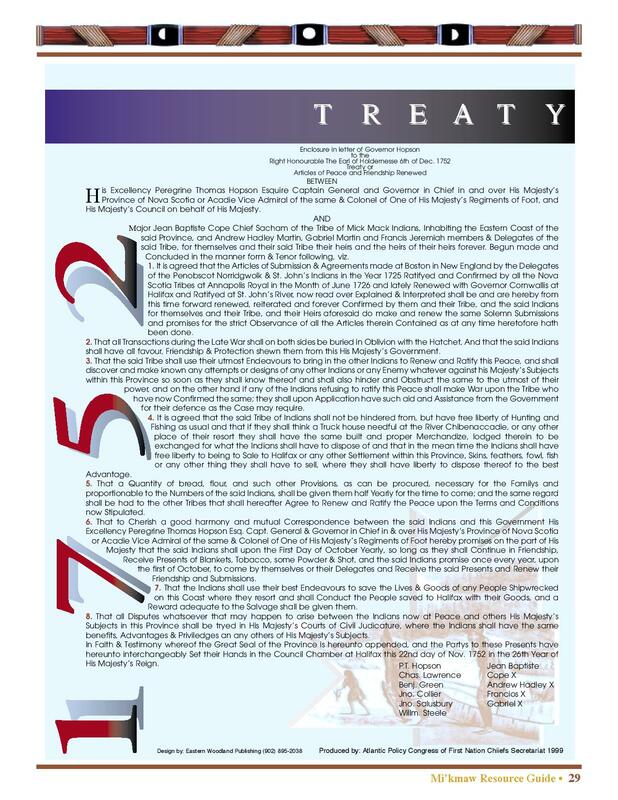 In 1986, the then Grand Chief Donald Marshall Sr. proclaimed every October 1st as Treaty Day. It commemorates the key role of treaties in the relationship between the Nova Scotia Mi’kmaq and the Crown. The annual ceremony reaffirms the historic presence of the Mi’kmaw who have occupied the land for thousands of years. The Mi’kmaq Nation and the crown also exchange gifts to mark each October 1st. By celebrating Treaty Day, we are giving thanks to the Mi’kmaw and the Crown for signing treaties of peace and friendship. People continue to gather in Halifax, and their home communities, on October 1st to participate and enjoy various cultural events in celebration of Treaty Day. It is a reunion for many Mi’kmaq and a time for people to learn a part of Nova Scotia’s 12,000 year-old history. October is Mi’kmaq Heritage Month. All welcome to drop by and join us as we celebrate together, and learn how to make a Dream Catcher. For more information, please contact the Pictou Library, (902) 485-5021. *Please note: This event is not affiliated with Dalhousie University. Come join us next Sunday for Sale Along the River, where there will be vendors, live demonstrations, interaction, food, musicians, with special performances by Pictou Landing First Nations. Free admission! Pictou Landing First Nations will be presenting a variety of performances…….a water ceremony, face painting, drummers and dancers! There will also be free luskinini………what’s that? Come find out…….you’ll love it!! Featuring hooked mats and wall hangings. Fibre art representations of the works of Millbrook Artists Gerald Gloade, Alan Syliboy and Lorne Julien. Halifax Regional Council has created a dedicate space in Halifax City Hall. This project is done in collaboration with Gord Downie Chanie Wenjack Fund. The Legacy Space in City Hall will provide information about Channie Wenjack and reconciliation for staff and visitors. We are committed to having accurate information available to all, regarding Indigenous History on our journey to reconciliation. The space will be safe, welcoming place where conversations about the past, present and future will be facilitated and encouraged. The space will serve as a symbol and reminder for Halifax Regional Council of the important work around reconciliation. Join us as this month, with special guest, Tonya Francis as we celebrate Mi’kmaq Heritage Month together. Experience Mi’kmaq history and culture which honors their rich tradition, values and way of life. Tea, coffee and light snacks will be served, for more information or for speaker suggestions call (902) 396-5022. All are welcome! Everyone is welcome to join the Sisters in Spirit Gathering in honour of Missing and Murdered Indigenous women, girls, and two-spirit folks. 1:00pm - Gather for moment of silence (lighting of candles, spoken word, speakers). Refreshments will be provided. Based on the book by Michael James Isaac, this puppet show tells the story of Ajig, a young cougar who agrees to stop behaving like a cougar, so the other animals will accept him. But, there is a price to pay for sacrificing part of his nature. Registration is required. To register, call (902) 490-5748. This is an all ages event. Tickets will be given out 30 minutes before start time. A clever fisherman must outsmart the Storm Maker, who makes the ocean rough, and scares the fish away with the flap of his great big wings. Join us as we celebrate Mi’kmaq History month by sharing this exciting traditional tale. ACC-CCA Executive Director, Clayton Windatt, will lead welcoming statements and facilitated discussions outlining four days of Indigenous art actions and activations throughout the city. Presentations will include consideration to undoing or living and working beyond colonial borders and enforced diasporas from home territories and the restorative work of community-building that we enact in diverse ecologies are all intimately linked by water/life-sustaining practices. The Gord Downie & Chanie Wenjack Legacy Space will be officially launched at Dalhousie’s Killam Memorial Library (6225 University Ave.) from 9:30am-10:30am. Legacy Spaces are dedicated to providing accurate information regarding Indigenous history and our journey of reconciliation. All members of our community are welcome and encouraged to attend the opening of this special space. The ninth annual Mawio’mi will be hosted on Studley Quad (or in the case of rain, the McInnes Room in the Student Union Building) beginning at 11:00 a.m.
We hope you will join this great celebration of culture, diversity and heritage, which includes a feast as well as Indigenous drummers and dancers.